At Dream Home Property Solutions, LLC one of our core values is that we strive to provide value to our clients by providing services to assist with any real estate related situation. We make it a priority to ensure your experience with us is excellent and that you are completely satisfied with all aspects of our service. 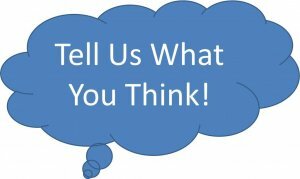 We would love to hear your feedback about your experience with Dream Home Property Solutions, LLC. Feedback is how we grow as a company and improve our relationship with you, our client. We take pride in our business and want to make sure that every client is satisfied when dealing with us. If you value the quality of our work as much as we do, please leave an online review. These help us learn how we can improve our business to make sure you are 100% satisfied as our client. Reviews also help other people in our community know that they will receive the same great service! Our company is listed on many great sites where you can leave your review and/or feedback. Below is a short list of those sites. Please feel free to use any of these websites, or any others that are not listed, to leave feedback. Once again, thank you for taking the time to help us improve our service!